STOP a clima artificiale e ordigni meteorologici! Clip - NNMCP - BREAKING REPORT ON WEATHER MOD TECH REALITY! 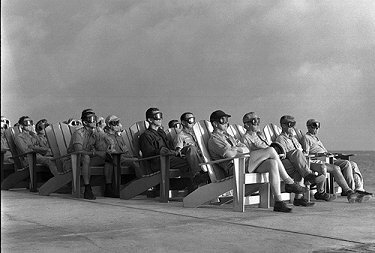 VIP observers are lit up by the light of an atomic bomb.